Two powerful reasons why, handlers should show the teeth. Judges do not wash or sterilize their hands before mouthing your dog and you have no idea what disease the dog/s judged before your dog has. Not everyone takes the care with their animal husbandry as you do or complies with your moral code of not showing when their dogs have a (not to show) medical problem. In this modern world we understand far more about the transmitting of a virus or sickness through hand contact with bodily fluids. Widely publicized warnings are now issued for humans to be conscious with their personal hygiene when hand contact is made in public places, i.e. hand rails, door handles etc. then putting our hands to our mouths. Veterinarians also advise that the same applies with our dogs; parvo virus, kennel cough etc. can be passed on from one dog to another dog after hand contact is made with mouth fluid. I do not know about you but my dogs are extremely precious and for the sake of a blue ribbon there is no way they would be put to this element of risk, when it can be so easily overcome. Show the teeth yourself. There are no rules (ANKC) forbidding you the handler to show the teeth of your dog or etiquette that only judges must do the mouthing of your dog. I have personally always shown my dogs teeth and in all that time only a handful of judges have tried to override my actions and attempt to do the mouthing themselves. When debating the logic for handlers showing the bite (teeth) with a number of All Breed Judges their response has been powerfully put that it is the right of the judge do the inspection of the mouth and that’s that. Amazing though when these same judges have been observed judging Rottweiler’s they ask the handlers to “show the teeth please”! Our dogs know us not the judges and so to reassure the dog I am handling, that this person (the judge) approaching is quite safe, I bring the dog’s attention back to me by showing the teeth. Now the dog’s concentration is distracted from the approaching judge back to the handler and when the task is carried out correctly, actually calms the dog whilst at the same time encourages the dog to remain stationary and not move. Sounds simple but to acquire the desired outcome of reassurance there are some tricks you need to become skilled at when carrying out the procedure of revealing the dog’s teeth. 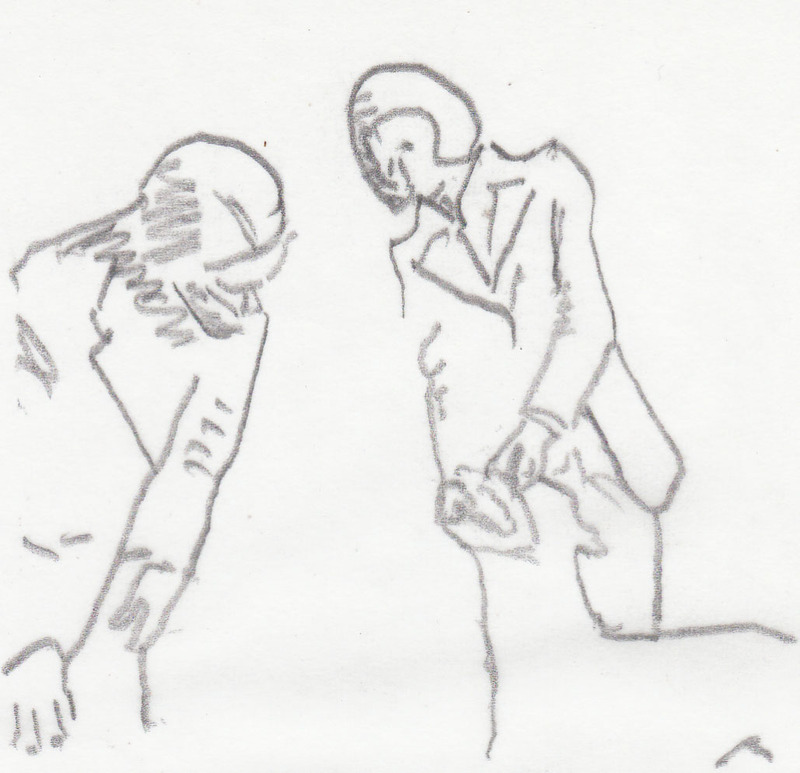 This handling technique when rehearsed to the point of proficiency also eliminates the resistance of judges to insist on their accepted practice and just look instead of the obligatory, times past, automatic of hands in the mouth modus operandi. 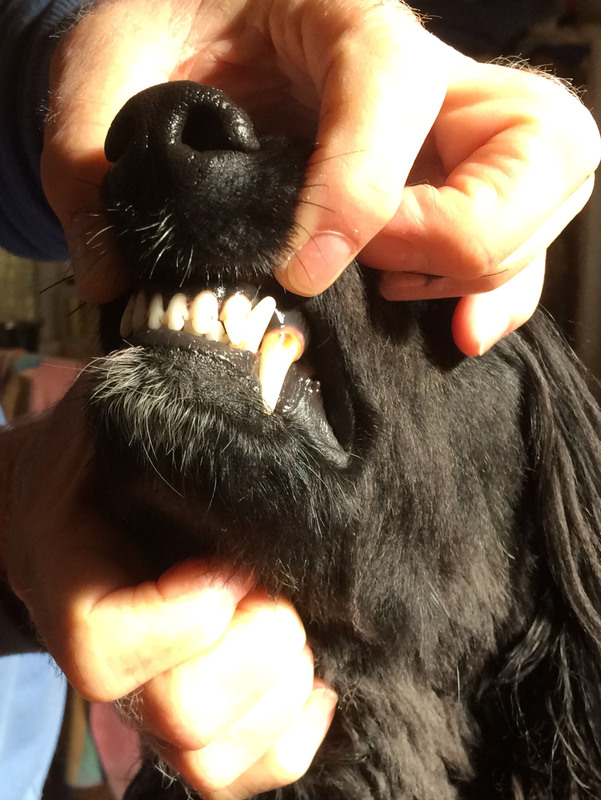 Oh and by the way when exposing the dog’s teeth you do not have to look as well, you should know they are in there! I have not had one compelling reason put to me why judges have to mouth our dogs with their hands, can you think of one? Gary, there will always be those in the dog world, but I have found 95% + in the dog world are honest and true to their breed. This also should not be a reason to forego the two most important reasons exhibitors should show the teeth; Hygiene – Reassurance.